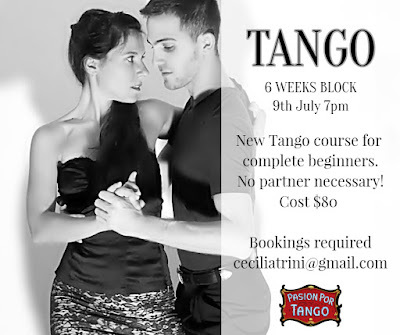 I'm happy to announce the next COMPLETE BEGINNERS TANGO6 WEEKS COURSE will commence on the 9th of July at 7pm at Pasion por Tango Studio, located 4 Poynton Terrace, CBD. 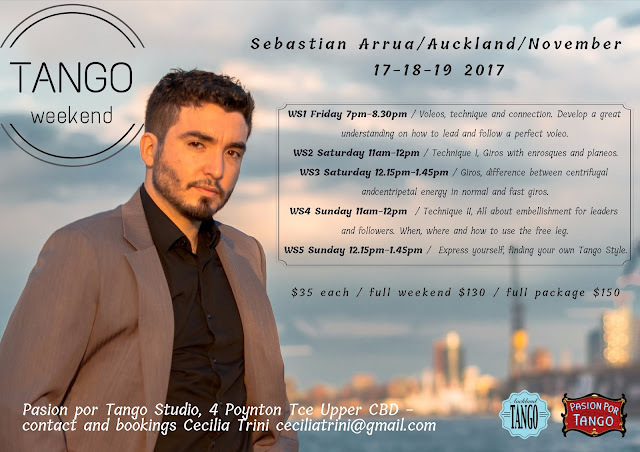 The cost is $80 for the course and bookings are required. 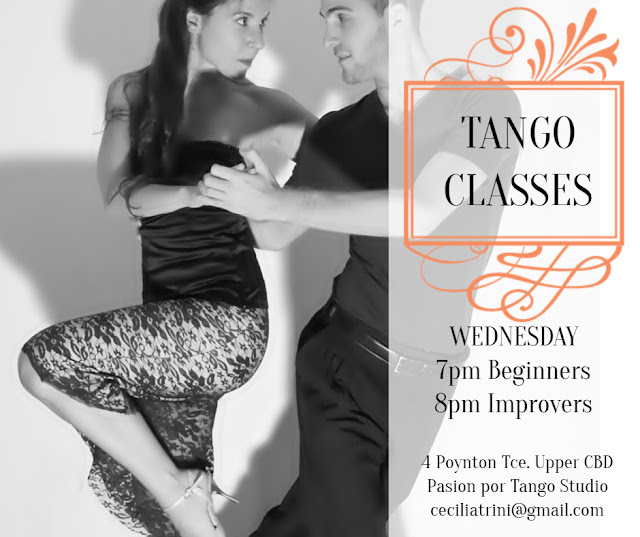 I'm Happy to announce Tango classes are back on Wednesday from 7th of March. 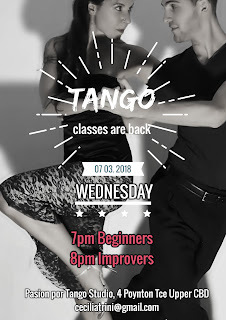 Two levels, 7pm Beginners and 8pm Improvers.